This dog harness is our unique multifunctional dog gear for professional training your German Shepherd! 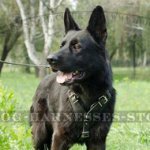 This protection dog harness was designed specially for attack, protection dog training, K9, police dog training, agitation work and other dog training activities. 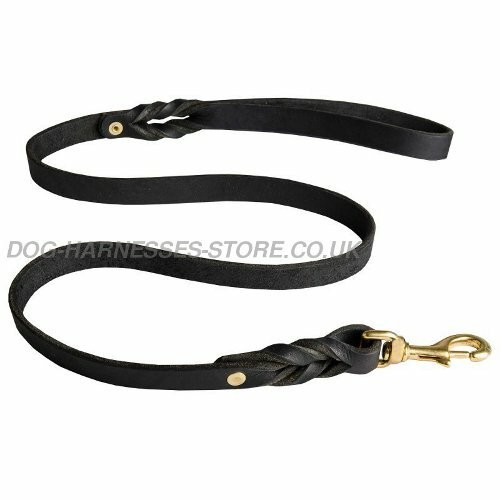 The protection harness will resist even the hardest loadings so you can use it safely for intensive dog training and safe dog walking! 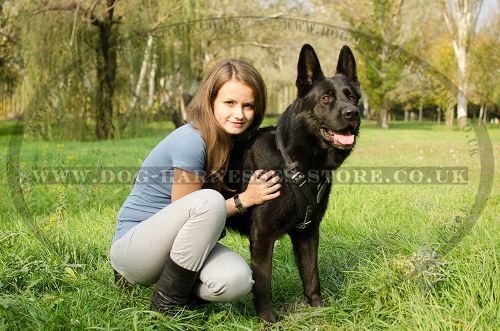 Choose this incredibly strong, functional and comfortable padded leather dog harness for your German Shepherd! This protection dog harness is made of thick well-oiled genuine leather. 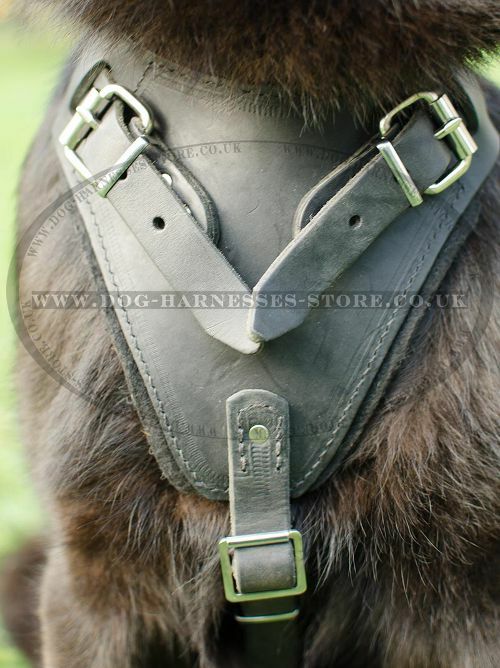 Chest plate, neck straps and back plate are padded with felt for dog comfort and protection from shocks during dog training. 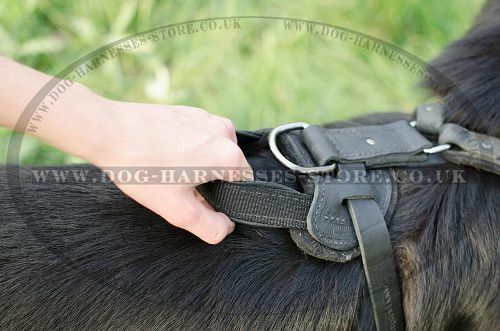 Padded dog harness is reliably hand stitched and riveted to make it incredibly strong. 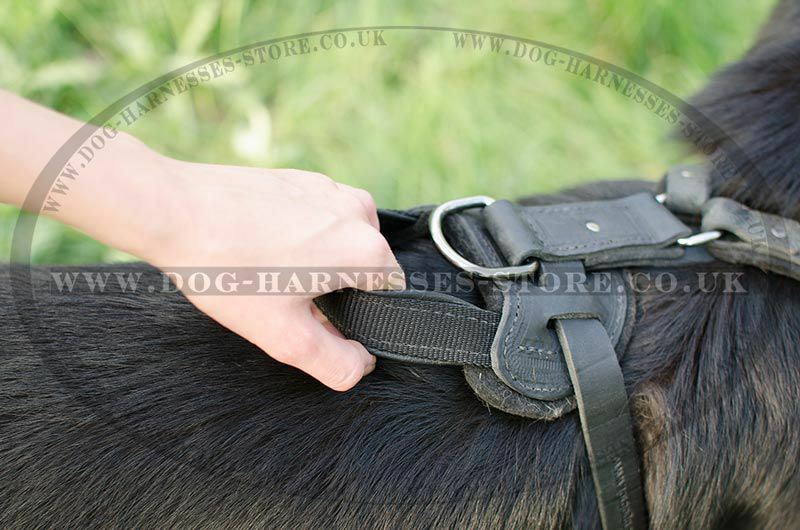 The harness is 4 ways adjustable, so you can easily fit it according to the size of your German Shepherd. 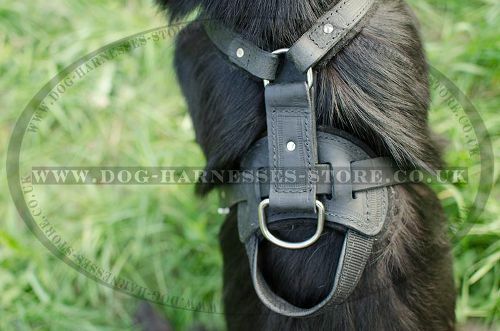 You can put on and take off the harness in one click with the helping of quick-released buckle. You can order this dog harness with handle for maximum control of your strong dog. Published testimonials are true, they come from our shoppers' letters. 1. 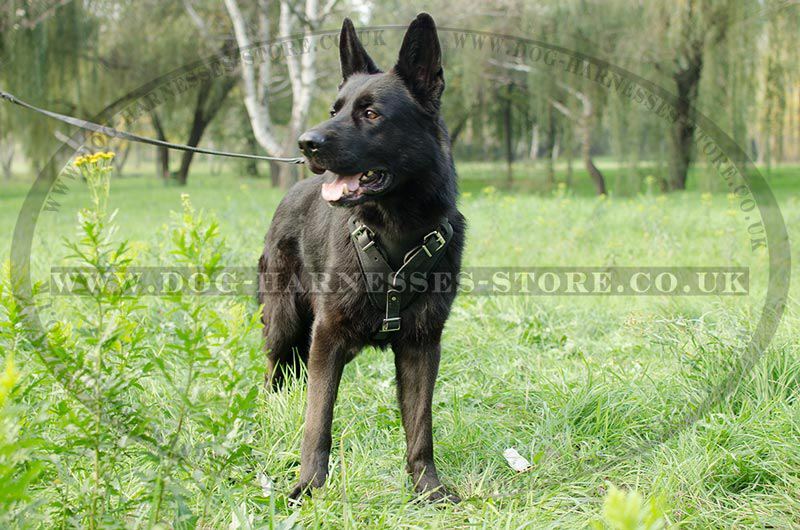 Hello, I've received the harness today. It fits perfectly. Thank you once again. 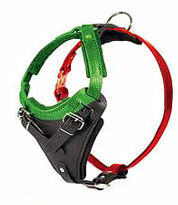 Dear Sir/Madam, we have purchased the harness for our German Shepherd. Thank you for your service. My son always orders from your website. We are very pleased with quality of the products. Thank you once again.